American musician Carl Kleinsteuber is a long-established freelancer and music lecturer; recently gaining his Doctorate in Performance from the University of North Texas whilst serving as the University’s doctoral teaching fellow. Alongside his activities in classical music, Kleinsteuber is also active on the jazz scene, having performed and recorded with groups such as the Lionel Hampton band, Quincy Jones ‘house band’ at Montreux, the Bob Belden Ensemble, Charlie Persip’s ‘Superband’, and Howard Johnson’s “Gravity”, as well as winning the very first International Tuba-Euphonium Association’s Jazz Competition in 1983. In November of 2016, Kleinsteuber performed the Concerto for Tuba by Bruce Broughton with the UNT Symphonic Band. 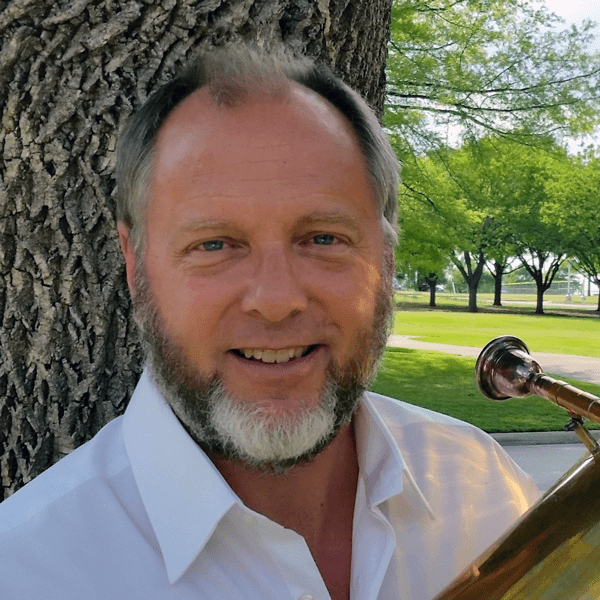 Kleinsteuber has also served as orchestral adjudicator for regional tuba conferences in Oklahoma and south Texas, as well as lecturing on the French tuba. Kleinsteuber has an active private teaching studio. Kleinsteuber is passionate about designing, building & modifying brass instruments, which he undertakes in his spare time; regularly playing instruments of his own construction.